The 1992 World Series was the first World Series ever with games played outside the United States, following the 1992 regular season. It pitted the American League champion Toronto Blue Jays against the National League champion Atlanta Braves. 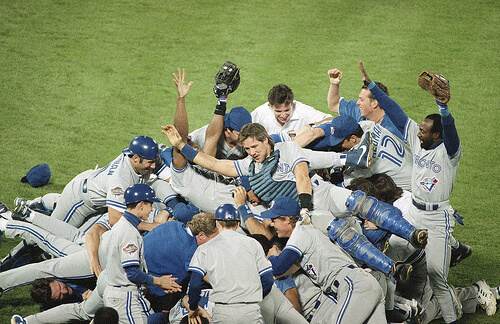 Toronto defeated Atlanta, four games to two, marking the first time a team based outside the United States won the World Series.